As a busy personal trainer, it is vital that any effort to systemise and therefore save time is leapt upon. The idea of using software and other systems to streamline your business and give you more time to focus on the business is an idea I have been keen on since I first read The E-myth by Michael Gerber. For many years there have been different bits of software on the market to help personal trainers manage their business. Having used a fair few and seen the development of these I am blown away by the current standard of personal training management software. Looking back at some of the early software it was… well… basic. Don’t get me wrong at the time it was cutting edge, but you were basically paying for an online diary and not much else. The software of today offers so much more. 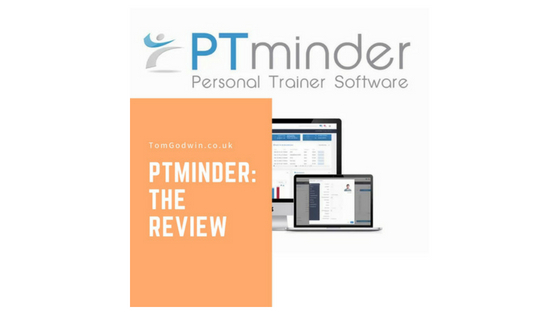 This brings me nicely to the point of this article, for the past few years I have been recommending a personal training software package called PTMinder. As you know I only recommend things I have used, tested and am happy with and PTMinder falls right into that bracket. If I had to briefly sum up what I liked about it PTMinder offers a great set of business functions, coupled with a programming element, all at a great price… but when have I been brief?!? Read on for a full breakdown of some of the awesome features of PTMinder. Calendar scheduling – this is a basic feature but one of the most important ones, it allows you to manage your diary and make sure that all sessions delivered are clearly tracked and accounted for. Payment processing – in the modern age of card-based payments this can be an issue for the smaller fitness trainer company. This software allows you to use a card processing service to take payments from your clients. These can even be taken online so clients can make payments from the comfort of their own home. Client management – it is so important to keep your client’s data safe and on-hand, also to track some of those vital statistics that allow you to show the client the progress that they are making. The software also allows you to assign products and packages to clients and then track the usage of aspects of them. A great feature is to be able to send confirmation and reminder text messages and e-mails, this can help to massively reduce the number of missed appointments and no-shows. Workout and nutritional planner – you can create some workouts that clients can access to complete between sessions and you can clearly track what you have done in session too. This coupled with the nutrition planner gives you some powerful tools to support clients between sessions. The software is well worth a try, especially as it allows full access for your first two clients for free, so click here to give it a try. Then with a very reasonable £20 per month price tag for unlimited clients is a no-brainer.